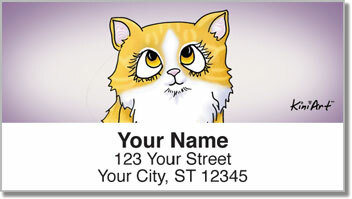 It's hard to say no to a mewing kitty. Even if you know it's not time for them to eat yet, even if they're coming straight from leaving a dead mouse in the middle of the kitchen or freshly mauling the new upholstery on your couch, just look at that face! 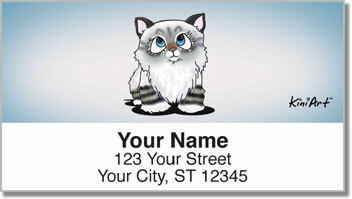 Now you can get their sweet faces without the naughty behavior on our self-adhesive address labels. 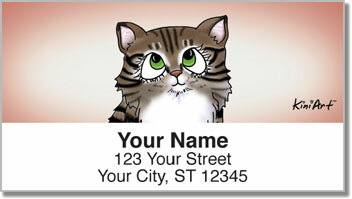 With high quality full color prints, you can also get a custom font for just $2.95 extra. 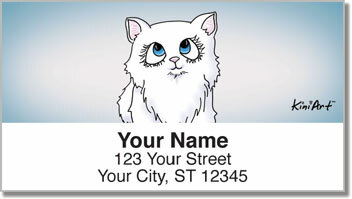 Don't say no, order our address labels today and take these kitties home with you!